Join us this week at Die Cuttin' Divas and make a card or layout using the sketch shown above. 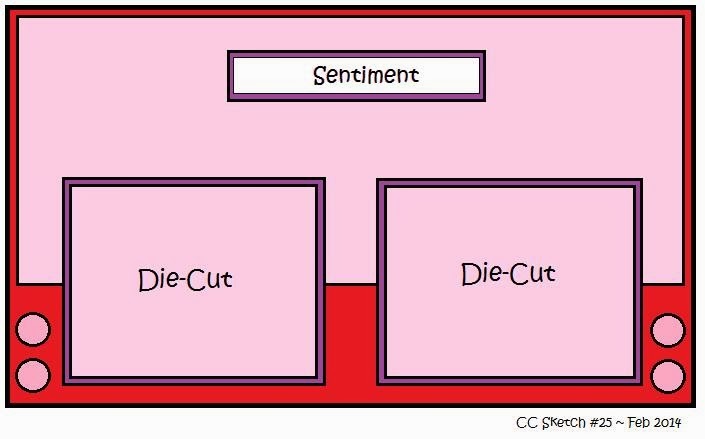 Be sure to use a die cut and link your post back to the DCD site. Make sure you check out all the wonderful creations made by the Diva Design Team! Pat, now this is terrific! I love what you sis with the sketch! LOVE this! Great take on the sketch! What a adorable card! Love it! Have a great day. This is ADORABLE!! love your take on the sketch!! !